In his State of the Union address to Congress, President Donald Trump announced that he would be holding a second meeting with North Korean leader Kim Jong-un. In the 82 minute speech, the President said he would be meeting Kim on the 27th or 28th of February, in either Da Nang or Hanoi, Vietnam. What was said during the State of the Union? “our hostages have come home, nuclear testing has stopped and there has not been a missile launch in more than 15 months”. In the second instalment, the controversial US emissary will be enticed by the prospect of ending a 68-year-long conflict. Trump will inevitably seek out something more than a show of solidarity, something in the form of a written pledge. Dealing with a country known for secrecy and an introverted agenda makes North Korea a dubious dance partner, especially when the US’s chips coming into the game will largely involve dealing Kim Jong-un a more favourable hand – or plainly, lifting trade sanctions. 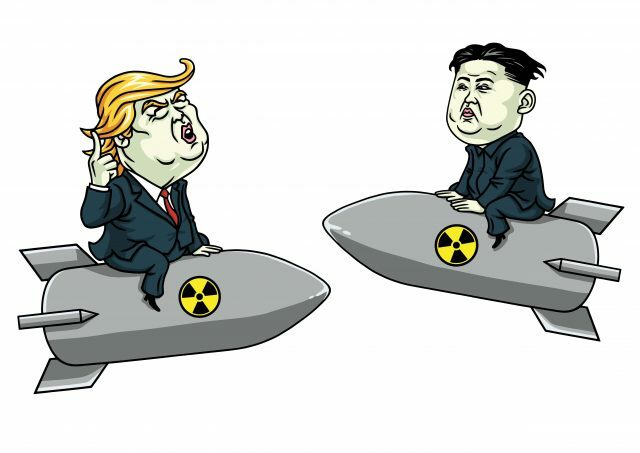 In return for such an arrangement, Trump will no doubt be looking keenly towards his counterpart’s activities in Pyongyang and undoubtedly pushing for Kim to relinquish the Yongbyon nuclear production site. The summit gives the leaders “the opportunity to truly make history in Vietnam. But transforming an adversarial relationship built on tough talk, nuclear threats and the danger of a second Korean war that could kill millions won’t be easy.” said Harry Kazianis, director of North Korea studies at the Center for the National Interest in Washington.